Clean, quiet, well run park. Traveled in a motorhome with toad. $65 par night with Good Sam. Stayed 7 nights. Great place to stay. Very friendly and accommodating staff. Plenty of space and very close to the park. Walking distance to shops and restaurants. Would definitely stay here again. Would have given it 5 stars but the wi fi was terrible. No pool but great location and friendly staff. Very nice park even thou it was full we didn't feel cramped. WiFi was bad in the back row of campground but they did find a better spot closer to the tower and then we didn't have any problems. Very nice about changing sites. One of the better park for our dog. There was a pet trail into a forested area that our dog enjoyed exploring. I stayed here for one night to resupply in West Yellowstone while staying in the National Park. 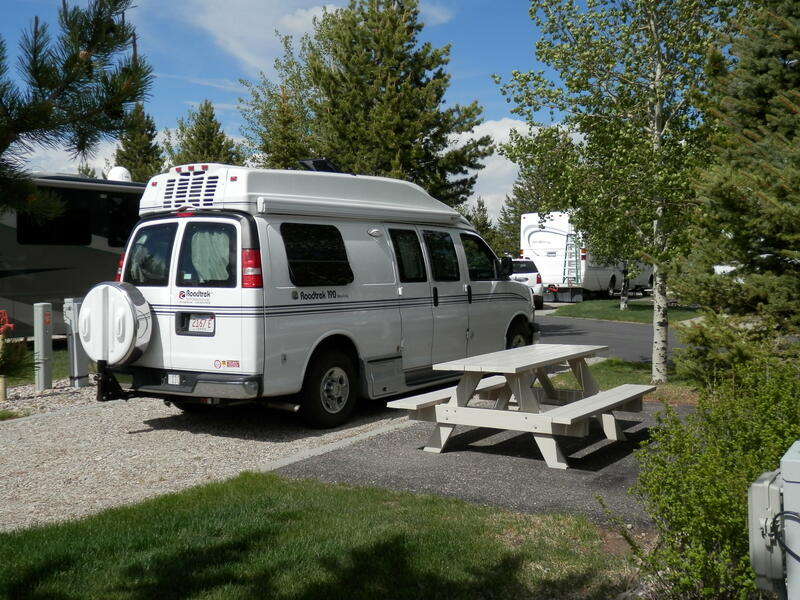 Its a beautiful RV park that's very well maintained. Sites are crushed stone and level with full hookups. There's a nice building with a store, rec room and laundry. It is pricey to stay here. I had a back in site, which was less expensive. When we were unable to stop in Yellowstone we were advised to go to West Yellowstone and selected Grizzley RV. Called to be sure they had a space and they held it and gave directions. The park is full at night, very nice and well maintained. Very easy drive in to the park. We stayed two nights. Probably the 10th park we've been to, and definitely the best. Well groomed by very friendly and visible, accessible staff. Clean, modern bathrooms. Great start point for Yellowstone NP and walking distance from anything you mighty need! This is a huge RV park and it is set up perfectly. Clean showers, nice pet area, and friendly staff. We will come back.